Vaastu is a Sanskrit word. If we break it down, Vaas means to live and tu means you – combined meaning is a place where you live. Shastra is also a Sanskrit word which means a text or study. Vastu means ‘the art of building one’s living and working spaces in harmony with Nature’. It is a traditional Hindu system of architecture that describes the principles of design, layout, measurement, space arrangement using mathematics and geometry. A house built as per the Vaastu Shastra, provides us with a healthy and secure life. Office buildings built on Vaastu principles enhance sales and productivity. Vaastu compliant factories can promote the efficiency of the workers and minimize breakdown of machines or other equipments. Malls and retail outlets can see the boost in sales. In short, modern age societies can benefit from Vaastu in a lot of ways. Vaastu Science when coupled with your Birth Chart becomes a unique powerful chart which shows how your environment is affecting you in accordance with Birth chart . Your Birth chart should not be read separately . With Astro Vaastu reading and remedies suggested your chart your Remedies becomes complete and gives results in a more promising way. Curious to learn more? Get in touch with me to see how you can benefit from working with me today. 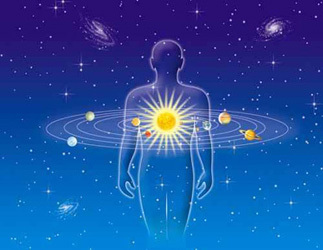 We provide the Top Class Astrology Advice . If you are really looking to solve your issues then choose Services below. “My Business was almost finished and i was in deep financial crisis . Loans were on my head . I consulted Astrologer Vishal Ji and he just saved me from doing suicide. His deep understanding and explanation about Astrological influence is great. He has some rare powerful remedies and that helped me regain my lost confidence and opened up new opportunities for me. I am now happy and financially doing good"
Are you looking for answers, or perhaps would like to receive a confirmation your life is on the right track? Whatever the reason may be, you’ve come to the right place. I love helping people develop the tools they need to cope with all of life’s challenges, and I get great satisfaction from seeing them heal and thrive. Connect with me today and let thetransformation of your life process begin.